டாடா நிக்சன் கிடைக்கின்றது 6 வெவ்வேறு வண்ணங்களில்- Moroccan Blue, Glasgow Grey, Etna Orange, Calgary White, Vermont Red, Seattle Silver. The Tata Nexon is available in four trim levels, with six variants to choose from each in petrol and diesel, including the dual-tone models. So, which variant should you put your money on? Tata Nexon Petrol Or Diesel: Which One To Buy? 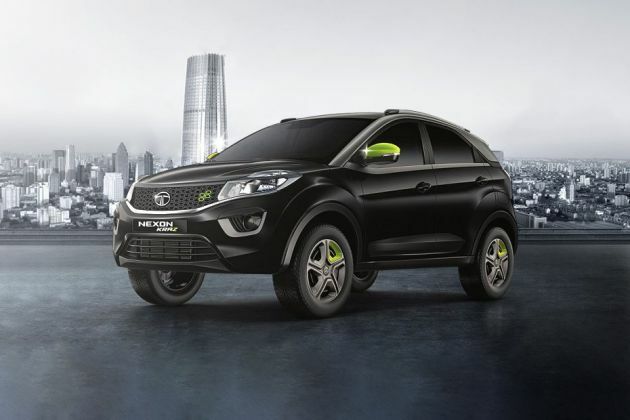 Which Nexon should you go for - petrol or diesel? Which one drives better and doesn't hurt in the mileage stakes either? Let's compare both options to help you decide. The Nexon’s petrol engine is more frugal, but is it quicker too? Clash Of Segments: Renault Captur vs Tata Nexon - Which SUV To Buy? Does the top-end Nexon make more sense than the entry-level Captur? Nice car with best comfort and look of the car is exotic. Mileage is very good. this car has no cons. It's an awesome car with the good build quality. TATA has brought out a good car and has a 5-star rating in the crash test of NCA. I am eagerly waiting to buy this. Nowadays, TATA cars are amazing with good looks and amazing features. Safety features are also good. Excellent look in front but the back side is required to modify/change. All Indians are requested to buy the tata's product which is completely made in India.